As part of an engine system, the gas tank is typically mounted into the rear of an automobile between the chassis and exterior or, for other modes of transportation, into an available space. Stainless Steel Gas Tanks – B.E. Peterson, Inc. Many motorcyclists and classic car enthusiasts are attracted to the high polish of a stainless steel gas tank and its ability to be custom fitted to the vehicle. 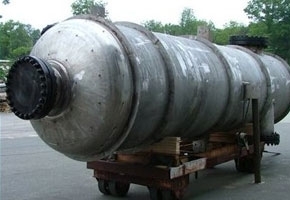 Stainless steel tank manufacturers strive to produce tanks that are airtight and without cracks or leaks so that gasoline does not diffuse into the air or drip out of the tank. As a storage container, the tank itself has no moving parts; for an average automobile, it is usually rectangular with rounded corners and a capacity of around 16 gallons. Airplanes carry from around 6,000 to more than 80,000 gallons of fuel in multiple tanks that are mounted in the wings or installed in a designated compartment. Stainless steel is gaining popularity as a material for gas tanks as it resists rust, does not deposit impurities into the gas and has minimal cracking over time. Traditionally, gas tanks are made from molded ceramic, carbon fiber or steel coated in zinc or aluminum. These materials are prone to splitting, flaking and corrosion, which lower the quality of the gasoline and can decrease the engine’s performance. If the tank begins to develop cracks, gasoline can diffuse into the air which is costly and damaging to the environment. Stainless steel, however, does not break down or get worn away, and the tanks maintain a good seal, especially if they are carved from a billet. A billet is a rectangular piece of steel, and they are often melted down then cast or forged into mechanical and industrial products. The disadvantages of those processes is that they result in thick and thin areas in the steel which can warp and crack from internal stress, and a weaker steel must be used so that it can be worked properly. If the gas tank is carved from a billet of stainless steel, it will have even walls and can be made from a higher grade of steel. Gas tanks can also be welded from sheets of stainless steel or, for larger tanks, bolted together. A fuel delivery system is also welded or soldered into place with tubes to deliver the fuel to the engine and pressure gauges to provide the operator an accurate reading of how much gas remains. Stainless Steel Gas Tanks A stainless steel gas tank stores gasoline in a strong, corrosion resistant stainless steel container until it is released into the engine of a motor vehicle or evaporates into the air.